The second cause of obesity is the general illiteracy of the population with regard to proper nutrition. On the one hand, ask anyone on the street and he or she will tell you how to eat properly. On the other — the diet cannot be the same for everyone. Nutrition for girls is different from the nutrition for elderly people, the diet of a bodybuilder is different from what’s the office worker should eat. Stress, illnesses — all this affects us and our diet. 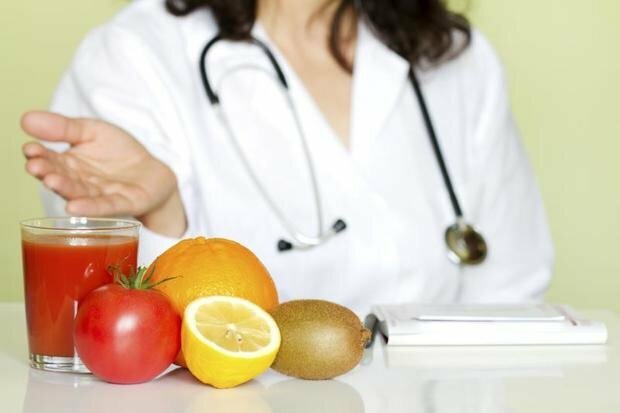 But there is no medical programme, either on television or on the radio, which would tell not about how to eat, but about how to combine products and how they affect the development of certain diseases. Nutritionists claim that overweight is in people’s minds. How important is it to take into account the psychological state in the fight against obesity? According to the World Health Organization, the number of overweight infants and young children (0 to 5 years) worldwide increased from 32 million in 1990 to 41 million in 2016. These are frightening statistics. A child with obesity is a 90% adult with all manifestations of metabolic syndrome — diabetes, arterial hypertension, insulin resistance. The latter is already in adolescence and young age is a risk factor for infertility in both men and women. This trend is associated with improper high-carbohydrate nutrition, the formation of a reflex from early childhood ”did something good — get a sweet”, ”tired, crying, brawling — it is necessary to give a sweet”. But the excess sugar-rich and gluten-rich products only worsens brain function and reduces progress in studies. Health is affected by the lack of sports, poor eating habits in the family, not always proper nutrition in schools and kindergartens, reducing natural feeding. It is necessary to start to teach parents the principles of healthy eating, including healthy snacks, to introduce in schools and kindergartens talks about proper nutrition and the dangers of excess weight, to develop the availability of children’s sports, to teach children to enjoy, celebrate and get positive emotions not only with pizza and sweets. I wouldn’t agree about Spain. I visit this county quite often and see many children with excess weight. I will tell more — I have not met a single slender child in Spain. The French (”true” French) are more fortunate — they are genetically programmed to assimilate the national cuisine and not to gain weight. The mother is a ”broiler”, father – a ”broiler”, and son — a ”broiler” — such fattened ”cells of the society” are often found in large supermarkets with an excessive number of packages. In such families there usually reigns a kind of cult of food. The house is always full of delicious, well-prepared and beautifully served food. There are constantly overeating adults and, of course, a child accustomed to this. So what does the fast food advertising on TV have to do with it? It is necessary to explain from childhood why sugar and white bread are harmful, how to make a diet properly, what cereals are the most useful, and what should be refused, why it is necessary to drink water.